Future of the series: The next in the series is entitled Fallout with a tentative release date of 5/31/19. Casey Hill is actually a pen name for an Irish husband and wife team, Melissa and Kevin Hill. Melissa Hill is a well known “chick lit” author and I was a bit skeptical on how well her transition from women’s literature into forensic thrillers would work. It seems to me she has made a better transition than Iris Johansen did with her Eve Duncan Series, but there is still remnants of a romance novel “feel” to it especially in the presentation of the main character Reilly Steel. 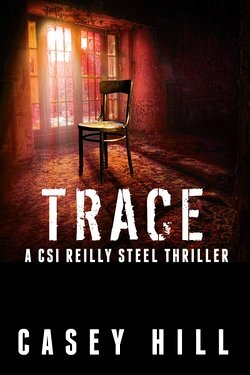 Reilly Steel is an attractive blond blue-eyed, California bred, FBI-trained forensic specialist who has uprooted herself from America to take a position at the Garda Forensic Unit in Dublin, Ireland. Steel’s father, a native of Ireland, wanted to leave California to find consolation in his native homeland after the death of his wife and as the perfect daughter, Reilly decided to follow him. Steel has an exemplary reputation in forensics and the Dublin police force recruited her in hopes of bringing the department up to date on forensic technology. Overall the character Reilly Steel is not a bad character with the exception of the fact that she is just too darn perfect. With the exception of having a family that has some significant issues, Reilly has no flaws and one can almost picture her with an iridescent glow surrounding her with a halo hovering over her head. I think the best characters in the forensic fiction genre has some kind of flaw, such as Maura Isles infatuation with a priest in the Rizzoli & Isles series or Amelia Sachs nail biting and head scratching in the Lincoln Rhyme series. Even if Steel picked her nose on occasion it would make for a more realistic character. Even though Reilly Steel may be perfect, her coworkers are not. Two detectives, Chris Delany and Pete Kennedy would be the best examples. Delany suffers from a nutritional disorder which he keeps under wraps to avoid being assigned to a desk job and Kennedy is a typical beer drinking smoker with a crusty personality. Now I really like these characters mainly because of their flaws. There is a unique theme that runs throughout the series and that is a quirky modus operandi that motivates the perpetrators in their criminal activity. In the first book of the series, Taboo, a serial killer is motivated by the workings of Sigmund Freud and commits murders based on human behavior that is consider taboo. In the second book of the series, The Inferno, the murders in this case are based on Dante Alighieri’s epic poem the Divine Comedy in particular the cantica Inferno. In the third installment of the series, The Hidden, the criminal activity revolves around the Irish myth of Tír na nÓg, which is a mythical land of everlasting youth. And lastly, in the fourth novel, The Watched, the serial killer is motivated by the lack of realistic murder scenes in horror movies. In general, the stories are fun to read but the series may not be up to the standard with some of the other series in the forensic thriller genre. 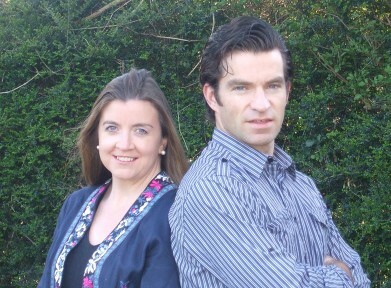 The Casey Hill books have a strong following internationally and a TV series is in the works for the folks in Ireland. Though the Hills advertise that the books can be read as standalones, I would disagree, as I feel they should be read in order. The novella, Crime Scene, is a prequel to the series and could be read first. Most Favorite Novel in the Series-The Inferno-because it reminded me a lot of another book that I like very much which is The Dante Club by Matthew Pearl. Least Favorite Novel in the Series-The Hidden-this novel seemed to take too long to finally get to the point. The storyline should have been more condensed. Reilly swept her hair back off her forehead and leaned into the microscope, adjusted the setting so that the specimen was in focus. ‘So what am I looking at?’ she asked. The microscope that the Hills are talking about is an Electron Microscope. Anyone that has ever worked with an electron microscope knows full well that it is impossible to slide the microscope across any table (I will elaborate more on this later). Additionally some electron microscopes can be equipped to do elemental analysis, so I was fine with the finding of traces of chloride, sodium, and potassium in the sample but I coughed up my coffee when I saw the detection of creatinine and urea, which are molecules not elements. As it is very clear that the Hills do not know the difference between a light versus an electron microscope, I have decided to elaborate more in the ‘Technical Word in Review’. The Reilly Steele Technical Word in Review: Electron Microscope-An electron microscope differs from a light microscope, which is the more commonly used microscope, by using electrons instead of photons to visualize a sample. The electron has a wavelength that is 100,000 times shorter than a photon wavelength which gives the electron microscope the advantage of creating greater resolution and considerably higher magnification than the standard light microscope. Unlike a light microscope that uses glass lenses, an electron microscope uses electromagnetic lenses to focus the electron beam. The electron beam as well as the sample must be maintained in a vacuum in order to prevent scattering and because of the need for a strong vacuum, electron microscopes are quite large, therefore no sliding across a table. There are four types of electron microscopes; transmission (TEM), scanning (SEM), reflection (REM), and scanning transmission (STEM). 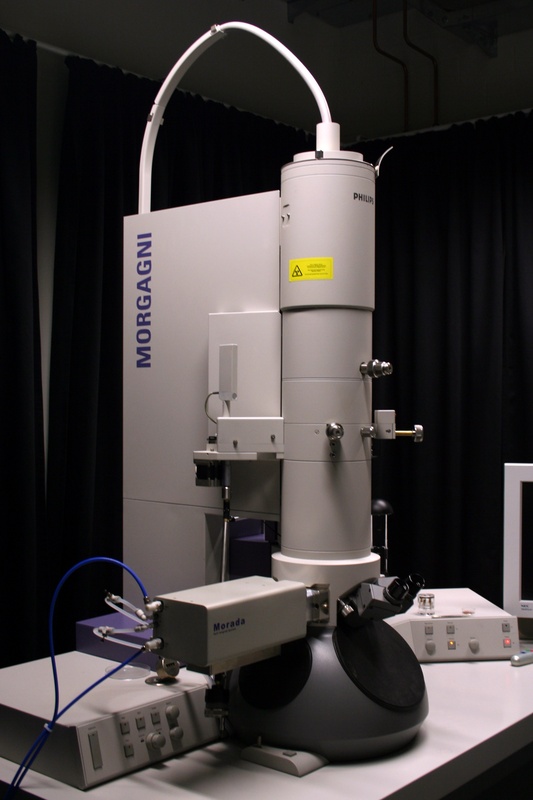 The TEM has the highest magnification of any of the electron microscopes and works on the basis that the electrons will transmit through the sample which are then scattered. The scattered electrons will interact with material on a fluorescent viewing screen and a pattern or picture will be detected. Since the electrons must pass through the sample, the sample must be extremely thin, thus requiring a considerable amount of sample preparation. 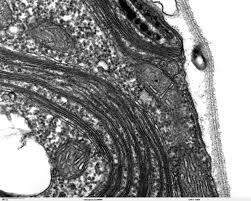 The TEM is best used for detection of viruses, and cellular structure within a cell. The SEM uses a lower power electron beam than the TEM and the electrons do not transmit through the sample but instead interact with the surface of the sample. This interaction will create high energy backscattered electrons and low energy secondary electrons as well as x-ray and light emissions which in turn will create an image also on a viewing screen. 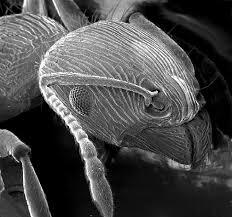 The SEM is good for larger samples such as insects, rocks, and bacteria. The SEM can also be set up with detectors that can do elemental analysis which is what is used in the Reilly Steele passage above. ‘Take a look at this.’ He indicated a slide on the electron microscope. Electron microscopes do not use slides like in a light microscope but instead uses metallic grids for support. Eyepieces are used to make adjustments in the position of the grid not to visualize the sample. Forensic investigator Reilly Steel, Quantico-trained and California-born and bred, imagined Dublin to be a far cry from bustling San Francisco, a sleepy backwater where she can lay past ghosts to rest and start anew. She’s arrived in Ireland to drag the Garda forensics team into the 21st-century plus keep tabs on her Irish-born father who’s increasingly seeking solace in the bottle after a past tragedy. ‘Sure.’ Reilly knew that Totem and Taboo was one of Freud’s most famous works. Published in 1913, it was an application of psychoanalysis to the fields of archaeology, anthropology, and the study of religion. In it, he examined the occurrences of cultural taboos in different parts of the world, questioning their relevance and importance to both individuals and society. Taboo… the word continued to echo through Reilly’s mind. Sandra Coffey was desperately trying to breathe. ‘Dante Alighieri. The author of a famous medieval poem called the Divine Comedy.’ Rueben explained. ‘The part called Inferno is about a journey through Hell. There are nine different levels, and in each one, sinners are punished in various ways for various sins. OK…’ He picked up a nearby cup and went to take a sip, then remembered it was coffee. He set it down quickly and turned back to the team. ‘Let me explain further. The Inferno opens with a description of the process of judgement, whereby souls are categorized according to their particular transgression, judged and sentenced to their allotted place in predition. How can this tainted world contain us, how can it contain our dreams. When a young girl is discovered dead on an isolated Irish country road, it seems at first glance to be a simple hit and run. Then the cops see the tattoo on her back – a pair of beautifully wrought angel wings that lend the victim a sense of ethereal innocence. Forensic investigator Reilly Steel is soon on the scene and her highly tuned sixth sense tells her there is more to this case than a straightforward murder. But with almost zero evidence and no way to trace the girl’s origin, Reilly and the police are at a loss. Then the angel tattoo is traced to other children – both dead and alive – who are similarly marked, and Reilly starts to suspect they have all been abducted by the same person. But why? And will Reilly get to the bottom of the mystery and uncover what links these children together before tragedy strikes again? Reilly hated domestic violence cases – the hidden years of tension, the secret beatings, the lies, the cover-ups. There were no winners, only losers, just another generation of damaged children growing up to believe this is what relationships were like and how people treated each other. Quantico-trained forensic investigator Reilly Steel is back in the country of her birth. Unsure about both her future and her position within the Dublin police force, Reilly hopes that a relaxing stay at the Florida beach home of her old FBI mentor Daniel Forrest will help get her thoughts together. When Daniel’s son, policeman Todd Forrest, is called to the scene of a gruesome murder where the body of a beautiful woman has literally been torn in two, he is stopped in his tracks. Not just because of the grotesque and theatrical nature of the crime but because he recognizes the victim as Daniel’s goddaughter. In an attempt to find swift resolution on her old friend’s behalf, Reilly finds herself drawn into the investigation. And when another disturbing murder occurs soon after, Reilly can’t help but feel that she has come across something like this before. But where? And will Reilly’s brief hiatus in the US force her into a decision about her future in Dublin, and the unfinished business she has there? Forty miles south of Washington, D.C. in Prince William County, Virginia is the small town of Quantico. Forty miles south of Washington, D.C. lies the small town of Quantico. Situated among lush greenery, the 547 acre property is where FBI recruits run obstacle courses, engage in firearms training and participate in mock hostage scenarios in Hogan’s Alley. 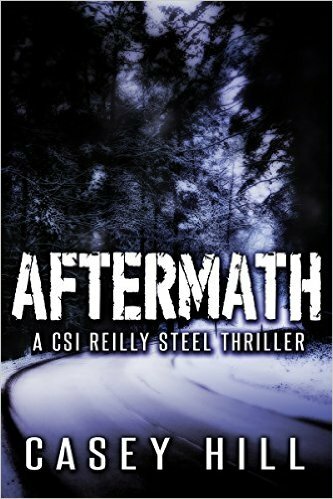 It’s the world budding forensic investigator Reilly Steel was born for. During her first semester at the Academy, a fatal accident occurs at a student party off-campus, and a fellow recruit is under suspicion. 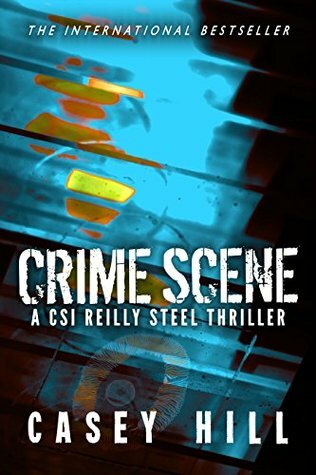 But by the behavior of the other students and the forensic evidence at the crime scene, Reilly guesses that there is more to the story than meets the eye. Will her instincts, and everything she’s learned at Quantico so far help Reilly uncover the truth behind the victim’s death? What I do is not easy. Back at the helm of the GFU, Reilly Steel is thrust right into a series of complicated Dublin murders at which the killer leaves minuscule forensic trace. The investigating team discover that the victims have been targeted because of one worryingly common trait, and need to outsmart the killer before he makes his next move. Can she get back on top of her game to track down the killer in time? A random attack? 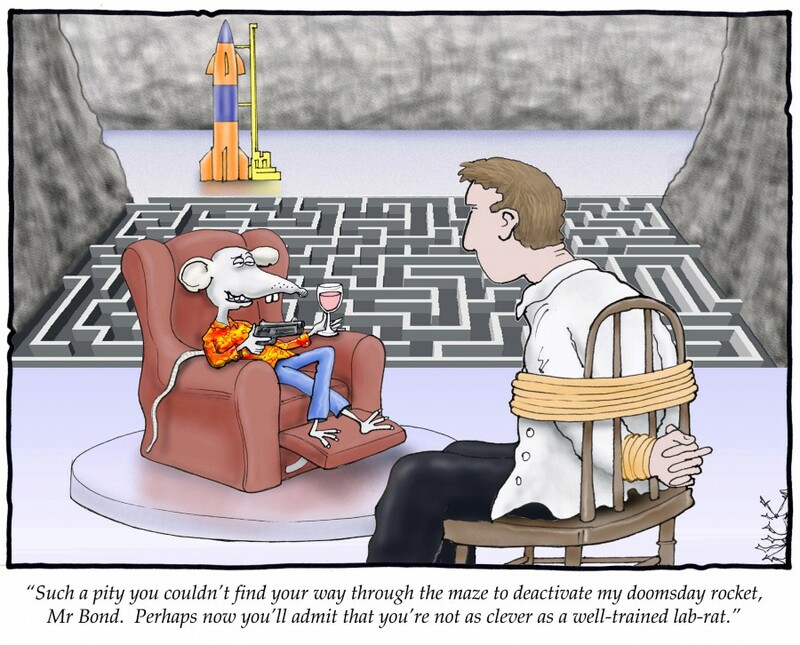 Or a carefully choreographed diversion? When a revered Irish sportsman is viciously attacked in his Dublin home during an apparent robbery-in-progress, Reilly Steel and the GFU team are tasked with finding the perpetrator. Such a high-profile victim ensures the investigation is immediately under the spotlight, but Reilly worries that celebrity may be blinding everyone to the fact that nothing – in particular the victim’s wife – is quite what it seems. Can she persuade her colleagues to look past the celebrity and carefully constructed public persona, and convince everyone that there is a lot more to this famous family than meets the eye? “Unless you weren’t planning on hurting someone when you went in there–and in the aftermath you’d forgotten the fact you had a cigarette earlier,” she pointed out. There is nothing quite like the stench of fresh vomit. When the body of a teenager is found beaten to death in his own bedroom, and a girl attending a party held at his house reports an attempted sexual attack the night before, the Dublin police immediately suspect both incidents are related. But when a sweep of the crime scene throws up some truly puzzling forensic evidence, CSI Reilly Steel wonders if those initial suspicions are correct. And as the investigation deepens, and her GFU team begins to delve into the online lives of both teenage victims, even more questions are raised. Can Reilly help the investigations discover the truth about what actually happened on the night of the party? A few generic family pictures were in the hallway too, but the majority of the photos proudly focused on the Hackett boys sporting achievements. Ironic that the sport the brothers loved so much had ultimately proved to be Graham Hackett’s endgame. Many series are being made into movies or television programs. If you are like me, you probably imagine who you would like to play the lead role. So who would you pick to play Reilly Steel? My pick would be Emily Proctor for Reilly Steel.